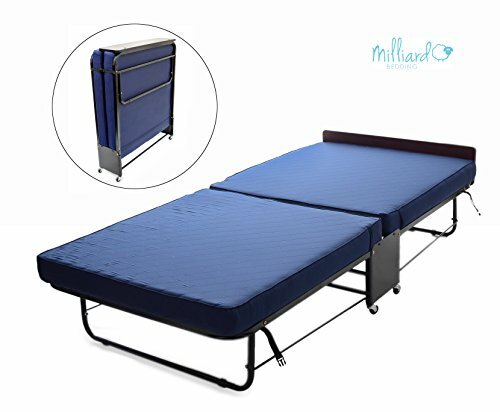 Included foam split mattresses are upholstered with quilted mattress covers and laid out on steel leaf springs with reinforced cross-frame members for heavy sleepers and/or heavy use. Overbuilt, press-formed steel plate center supports and tubular steel front/rear U-legs are braced with dual stabilizer bars for firm standing and assisted-folding. 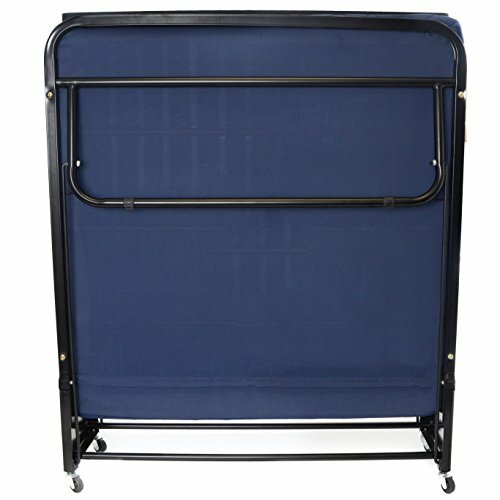 Clamshell folding pattern secures shut with dual trident buckles that adjust for use with other mattresses. 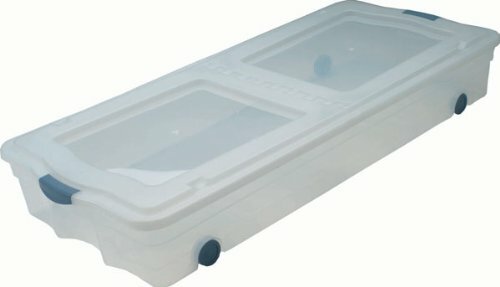 Designed especially for long life and versatile use. 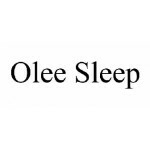 Great for frequent family visits or career bed and breakfast households. 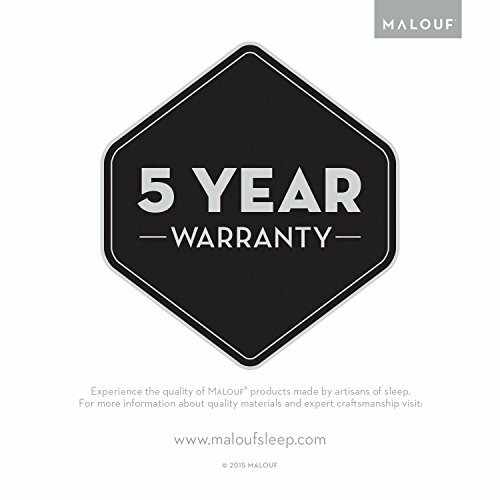 All of our beds are built strong, and most of our beds are overbuilt to withstand abuse, but this bed is MIGHTY – overbuilt and then re-engineered to endure even harder use. Dual stabilizer bars hold wide, tubular steel U-legs in place under the head and foot of the rollaway, and the specially designed center support is press-formed from steel plating to brace the entire frame securely. 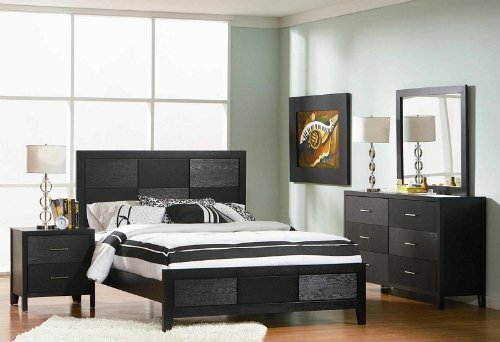 Your life may come apart, but our bed will be there when it’s time to call it a day. 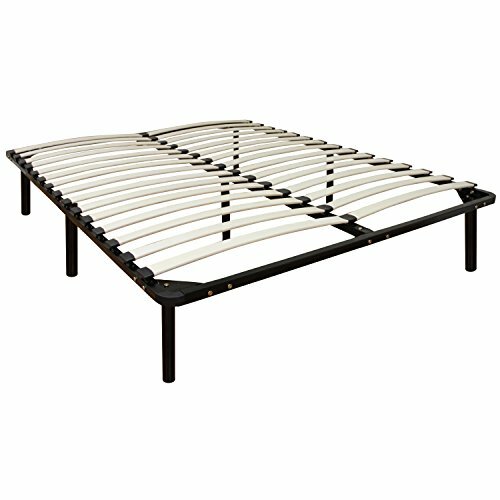 If that’s not enough, each half of the split mattress is supported by 14 longitudinal steel leaf springs and two metal re-bars for a package that can easily support up to 400lbs! 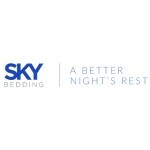 Great for households with frequent visitors, homes listed on AirBnB, registered bed and breakfast providers, or commercial users. 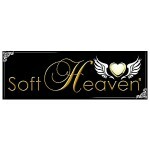 You or your guests can hit the mattress like a falling meteorite and it will still catch ZZZs with ease. It’s so easy – just wheel the rollaway out, unfold it, and it’s ready to go… but you’re not going anywhere, because you won’t want to! 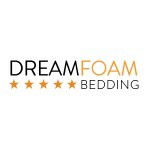 The Mighty Rollaway may look tough as nails, but the included medium-firm foam mattress is still supple enough to send soft sleepers into dreamland. Lie back, relax, and enjoy the softness, but you’d better cancel some plans, because you may just end up taking a nap and letting your guests have your regular bed. 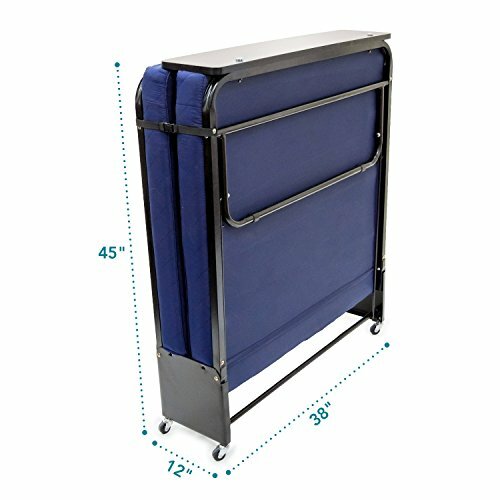 This rollaway fits in closet spaces, storage nooks, and between furniture, so it’s a no-brainer for small spaces like dorm rooms, family dens, and finished attic spaces that don’t have a lot of room. 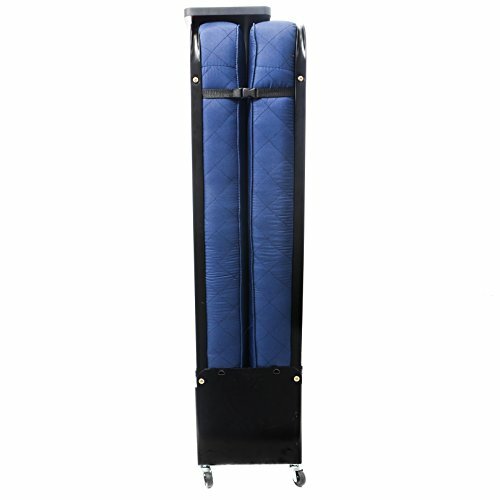 Assembly is simple, requires no additional tools, and the frame folds out clamshell-style in seconds. 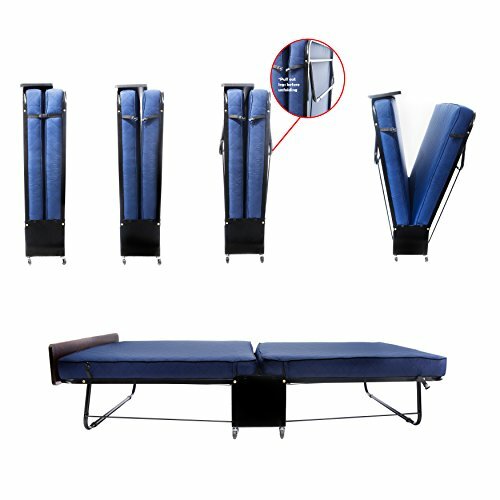 When it’s time for bed, all you have to do is add some pillows and blankets for a twin-sized rest. 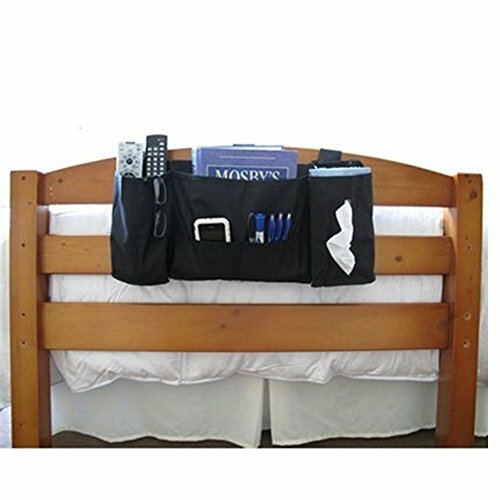 When the floor needs to be cleared, the bed folds and stows just as easily. 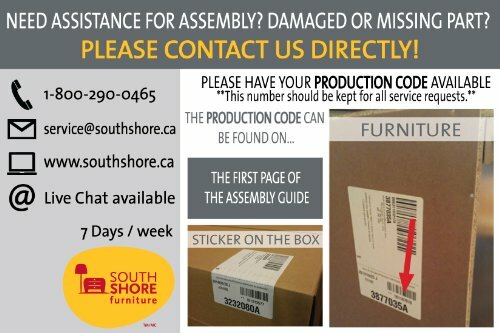 Needs minimal assembly with no tools. Just attach the wheels and you’re ready to go! 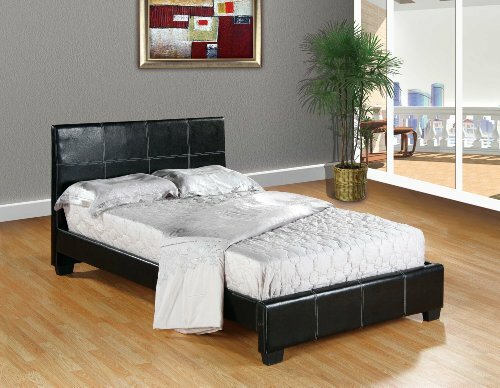 Bed dimensions: Twin – 76x37x15in. 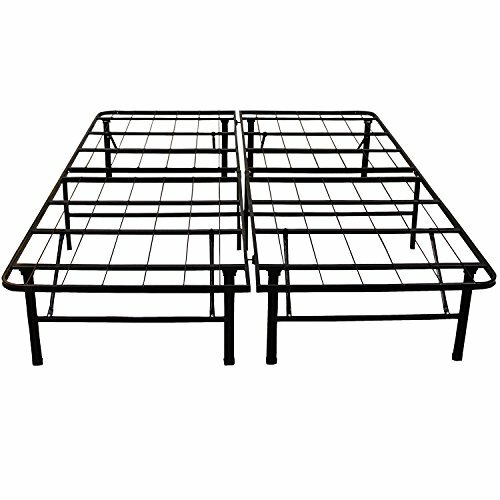 Platform metal bed frame, no box spring needed. 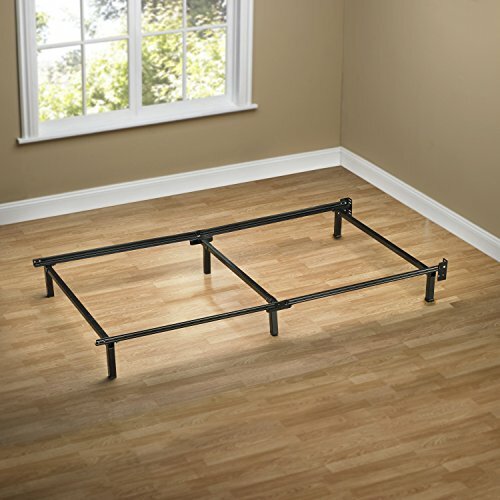 Easy to assemble metal foundation, assemble in minutes. 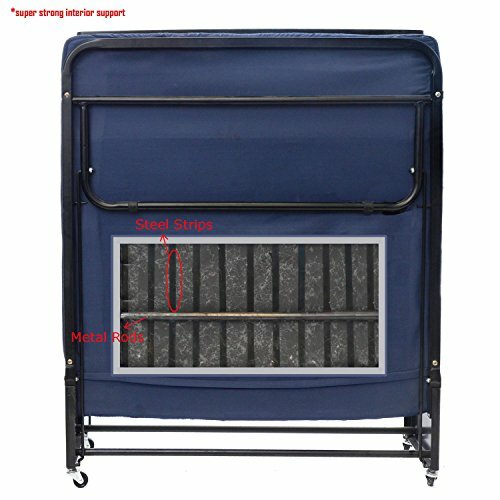 Supports all mattress types, prevents sagging.